This part (30), the author Mr. Sophan Seng didn’t traditionally describe about the policy platform for political parties for the upcoming national election 2017 and 2018 as planned. He is articulating the four outstanding political events in Cambodia. 1. The government rushed to amend the law on civil society and NGOs (LANGO) without conducting proper consultations and participation from all stakeholders is a trouble for the nation. Parliament and Senate that are well-known for submission to the government or lacking independence, have unanimously approved the law. 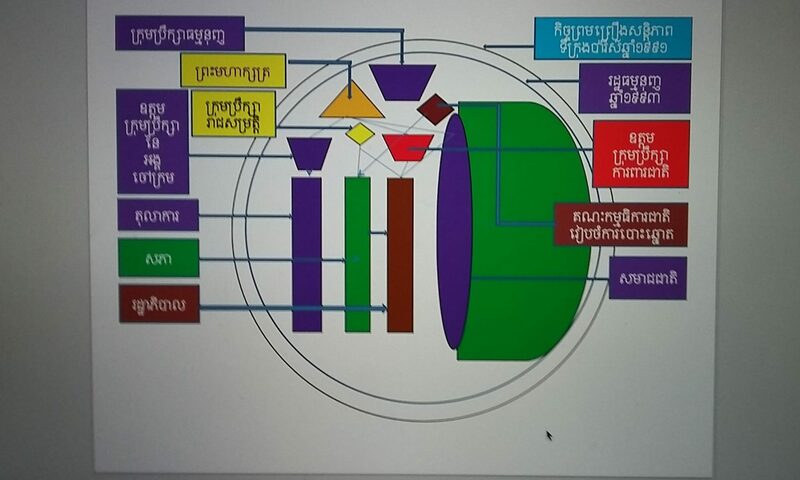 This LANGO is believed to impeding the independence and effective tasks of civil society that has played important role in democratization and nation-building of Cambodia. 2. The arrests and injail of those 11 political activists of the CNRP is a set-back political development in Cambodia. Hun Sen has no faith in his new political mean on culture of dialogue while Sam Rainsy, his counterpart, has confidently believed the culture of dialogue shall pave strong foundation for collective interests of Cambodia in a long run. 3. 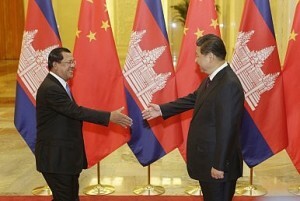 The borderline disputes between Cambodia and Vietnam have emerged as the continual conflicts that are poorly responded by the Cambodian government. Cambodian government has conducted self-hostaged border demarcation policy with Vietnam by accusing their own citizens as extreme, ultranationalism, or irrational on Vietnam’s encroachments. These accusations are in contrast with Vietnam who have encouraged their citizens along the borderline to protect their property. 4. International geopolitics changes among those superpower countries is very pressing. Vietnam’s official visit to strengthening tie with Obama administration has enabled Vietnam a boost in strategy to confront with China regarding the rifts of Sprately Island. Other Obama’s friends will approve the concert. Hence, Cambodia has moved closer with China that is believed to repeat past trauma if Cambodia is not managing this triangle relationship properly. These four political events have heated up Cambodia as a small and fragile state. While the foreign policy requires strength within domestic politics, Hun Sen administration is seems lacking responsive and well-planned domestic policy especially to ensure unity. The amendment of LANGO law and the incarceration of those 11 political activists are showing Hun Sen’s non-visionary sight for Cambodia during this international geopolitics tension. To bring back confidence and unity, as many believed, those 11 political prisoners must be immediately released, as the author has solemnly appealed for. Previous PostPrevious Why CNRP is pushing hard from bottom-up TV investment?